THAT TURNED WW II CADETS INTO PILOTS! 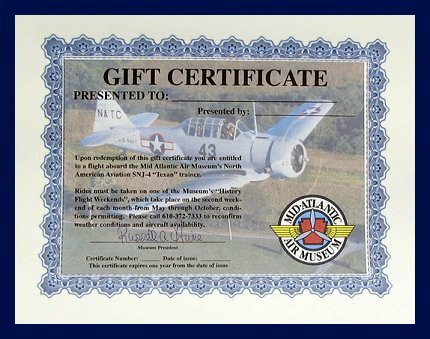 Mid-Atlantic Air Museum's "Aircraft Ride Weekends" . These are on the second weekend of each month in the flying season of May through October - except June. But in June you can fly during MAAM's World War II Weekend Show ! 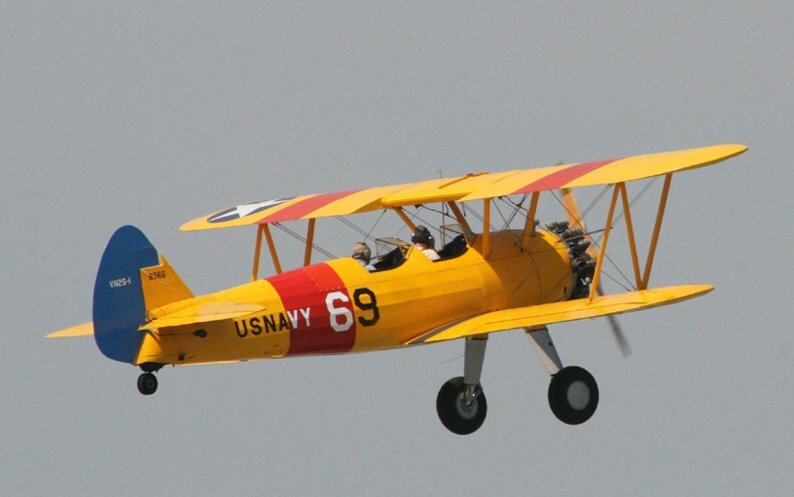 You may choose the excitement of open-cockpit flying in the famous Boeing Stearman N2S-1 "Kaydet", designated by the Army as the PT-17, a plane that was the first taste of military aviation for 60,000 pilots in all branches of the U.S. military services during the war. Over 10,000 of the type were built. It was the best known of all the primary trainers, as well as the most stable and maneuverable. You'll have a fantastic view from the front seat with the wind blowing through your hair! 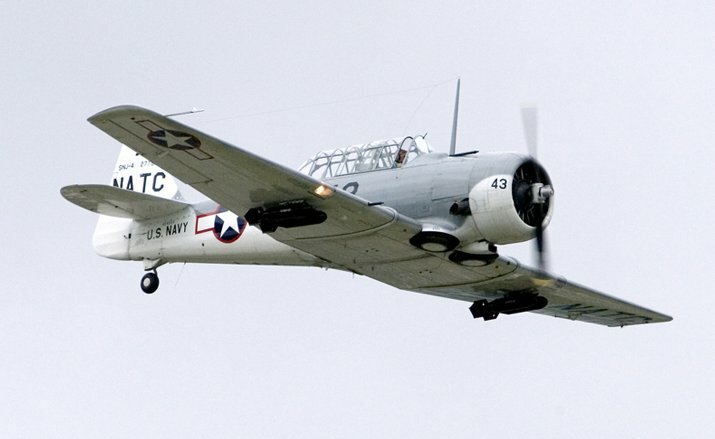 Or perhaps you would prefer the powerful SNJ-4B "Texan", designated the AT-6 by the Army, and "Harvard" in the UK and the British Commonwealth. This plane was often the last step in flight training - a plane so powerful and nimble that it was actually used by many countries as a fighter and bomber! It is equipped with a .30 caliber machine gun and bomb racks, for the purpose. A Mexican T-6 was actually credited with sinking a German U-Boat! Looking for a unique gift for an air-minded friend or relative? The price is just $313, and the choice of planes is yours. This is an exceptional bargain! Check it out yourself and you'll find other operators charge much more - some more than double what you'll pay at MAAM! Flights may only be taken during the scheduled "Aircraft Ride Weekends". Flights reservations must be booked in advance. Please call the museum at 610 372-7333 between 9:30 AM to 4:00 PM, prior to the Aircraft Ride Weekend you wish to attend, to reserve your flight. Flight duration is approximately 20 to 25 minutes, depending on air traffic. 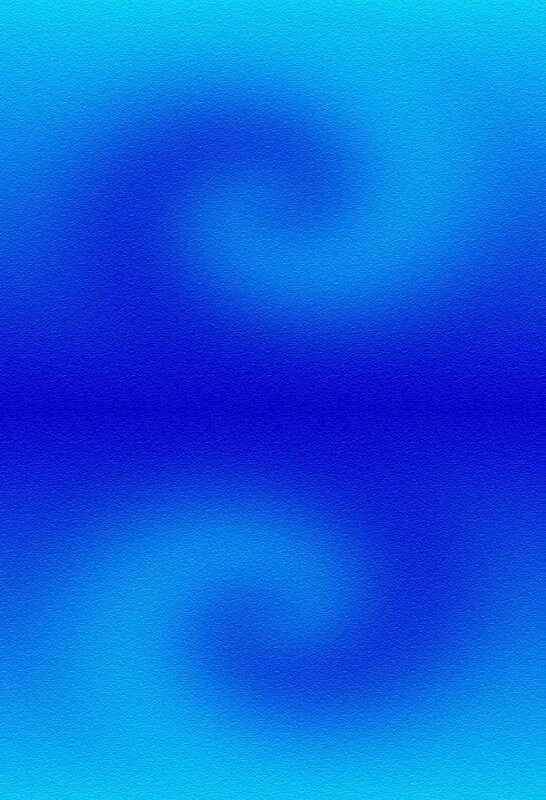 Availability is always subject to change, as weather, mechanical or other factors determine. for more information and to confirm the aircraft's availability. 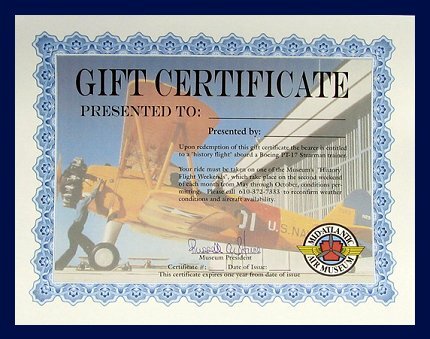 Visit the Museum's Online Store to purchase your gift certificate today!